In response to a growing demand for healthcare professionals who respect patient privacy and the right to keep and bear arms, DRGO invites healthcare providers who respect Second Amendment rights to join a free referral service. The service will help patients find healthcare providers who respect their constitutional rights. For decades, medical organizations have been insinuating an anti-gun political agenda into the patient-doctor relationship. Patients are routinely being asked about gun ownership. Worse, many physicians commit boundary violations by pressing anti-gun messages on patients. The directory and referral service was conceived after the 11th circuit court struck down key provisions of Florida’s Firearm Owners’ Privacy Act in the Wollschlaeger vs. Governor of Florida case (commonly termed “Docs vs. Glocks”). That ruling gives uninformed and anti-gun doctors legal cover to abuse the doctor-patient relationship to further a political agenda. DRGO has long been an opponent of boundary violations in the form of anti-gun activism in the patient exam room. DRGO has supported the law in several amicus briefs during the Wollschlaeger case’s progress through the court system. Founded in 1994, Doctors for Responsible Gun Ownership is a nationwide advocacy and watchdog group of physicians and other health professionals. DRGO critiques medical literature and public policy dealing with firearms ownership, use and misuse. DRGO members have testified to Congress and state legislatures, contributed to amicus curiae briefs for the U.S. Supreme Court and appellate courts, presented to medical societies and the public, and have written and been interviewed for many national media outlets. 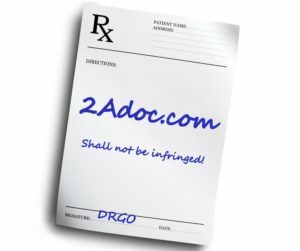 DRGO is a project of the Second Amendment Foundation.